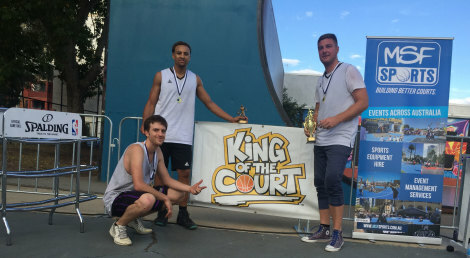 In what seems to be turning into a regular theme, MUBC alumni smoke and sexual chocolate Nicholas Masunda have taken out another 3 on 3 tournament and another $1,000 in streetball prize money. 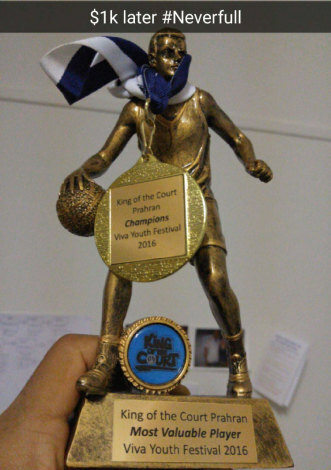 At yesterday's King of the Court tournament at the Viva youth festival at Prahran Park, plenty of local streetball identities were on hand to challenge for the title but ultimately fell short as the boys from uni consolidated their sweep of Melbourne's 3 on 3 events. After a late minute withdrawl from Melbourne Uni import Delonte 'snakes' Joyce and a dozen failed last minute phone calls, the team was completed with the introduction of veteran MSF big man Sokol Blazovski. An early hiccup in the first round against some SEABL quality competition was atoned for in subsequent games as the boys ran it out to take out the cash. 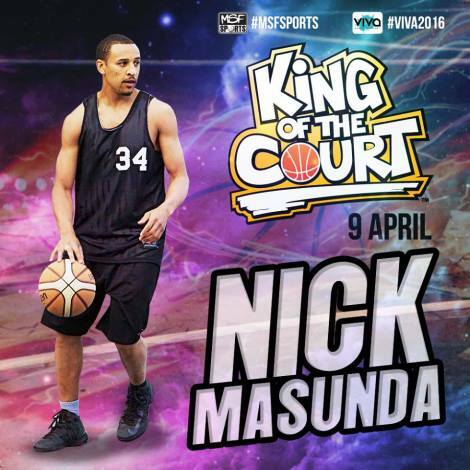 The original King of the Court Nicholas 'Sexual Chocolate' Masunda was awarded MVP of the tournament and the grand final was recorded for your viewing pleasure - refer below. Huge thanks to Viva and the Stonnington council for running the festival and big props to MSF Sports for the tournament. © Melbourne University Basketball Club 2019. This page was last updated by smoke on April 10th, 2016.